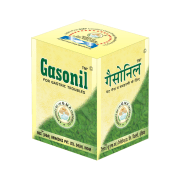 Rex Gasonil is primarily used to treat various kinds of stomach disorders such as, indigestion, stomach ache, anorexia, hyper acidity, flatulence, burning sensation in the chest, heaviness after meals, nausea and vomiting due to indigestion and gastric disorders. • Gond Keekar (Acacia Arabica) – Q.S. 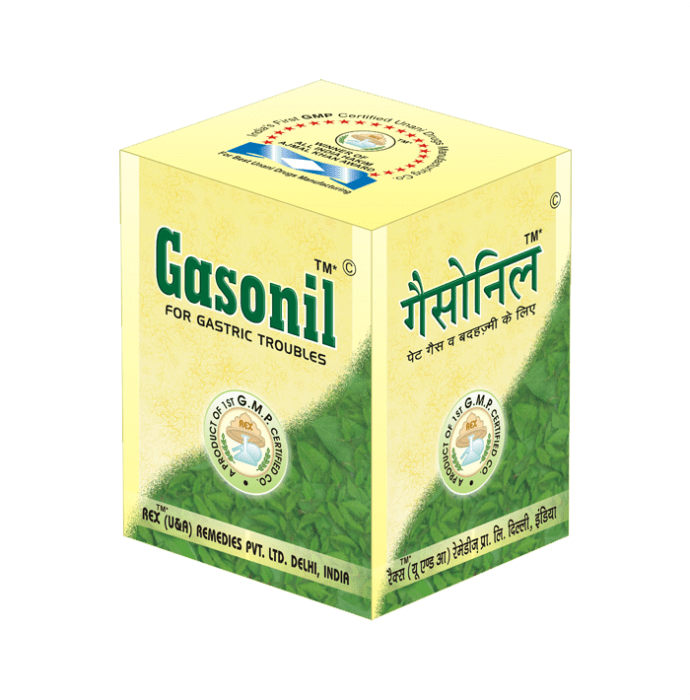 • An unhealthy lifestyle usually causes these issues and Rex Gasonil ensures that the food consumed is digested properly with under any intestinal disorders becomes a difficult task. A licensed pharmacy from your nearest location will deliver Rex Gasonil. Once the pharmacy accepts your order, the details of the pharmacy will be shared with you. Acceptance of your order is based on the validity of your prescription and the availability of this medicine.